Integrated system's control is beneficial to any business due to the ability to save time and money by being the most efficient as possible. Our professional designed and engineered integrated systems can be used to open, shut, tilt the shades. 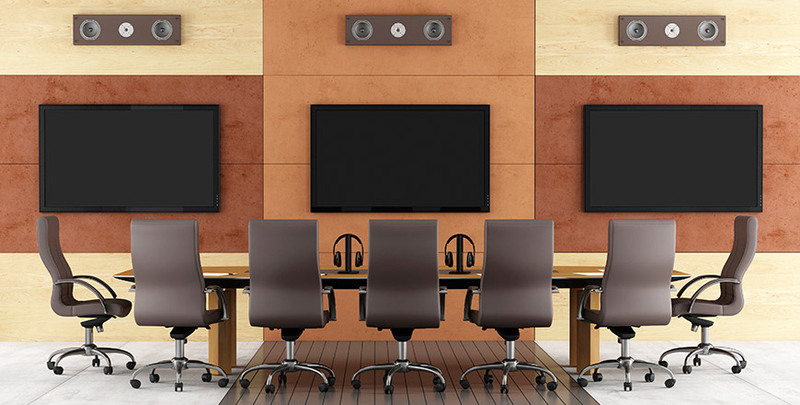 You can set the projector or monitors to a particular source with audio either as an individual display or multiples to capitalize on communication. The lights can be dimmed for clearer monitor visibility, by zone or throughout the room or space. Control the temperature to make it more comfortable. Video or audio conference another team member, or potential merger partner. Monitor entire buildings or just condo's or apartments. Maintain anything integrated individually or as a complete system of all of them. To learn more, call Kozi Media Design at 1-877-746-5694 or send us an e-mail.